After one of the most spectacular summers in recent years, the good weather in Galway looks set to continue into September and hopefully beyond. This bodes well for the auction team in DNG Maxwell Heaslip & Leonard who have just put the finishing touches to the first of their 2018 autumn auction series. Thursday October 4 will see more than 20 lots go to the auction floor with properties covering all sectors of the market, and the city centre based auction expert is already reporting huge levels of interest with a busy weekend ahead of open viewings in store this weekend. 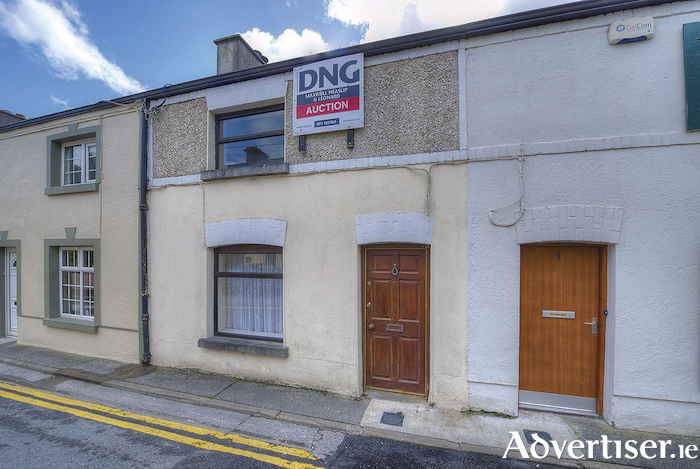 Located close to Galway city centre, this mid-terrace property comprising c116sq m is located in an area zoned for commercial usage. In need of substantial renovation, it is being offered to the market with the benefit of planning permission for a ground floor commercial unit, with overhead residential usage. The property qualifies for substantial tax incentives under the Living City Scheme. A prime residential development opportunity located at Murrough just off the Dublin Road and adjacent to Merlin Park. The property, which comprises a substantial detached bungalow stands on c0.8 acre of high density zoned lands in the Galway City Development Plan. With a number of high-density residential developments in the immediate vicinity this property is ready to go or would make an excellent investment for a larger scheme. This is a parcel of land comprising c18.5 acres in the townland of Truskey West in Barna. In a much sought-after location, the lands currently have agricultural usage, but may lend themselves to future development, subject to planning permission. It is being sold with the benefit of road frontage in the region of c95m, and is located just 1.4km from Barna village and 20 minutes from Galway city. Part of Folio GY42196. A well-located commercial premises in the village of Oranmore. Comprising approximately c145sq m of space with a ground floor retail unit with overhead storage space, and a secure yard to the side of the property. Adjacent to the rear entrance to Tesco. A mixed-use commercial investment opportunity located in Castlebar town centre. Comprising approximately c100sq m to include a ground floor restaurant and first floor apartment. A one acre plot of land overlooking Rinville Bay in a most picturesque location on the Ardfry peninsula. Rinville is the location of both Galway Bay Sailing Club and the renowned Galway Bay Golf Resort and is just 4km from Oranmore village. With frontage onto the public road and a backdrop of Galway Bay, this plot offers great potential and may suit a qualifying applicant with a local housing need. A parcel of land comprising c10.5 acres in the townland of Truskey East, Barna. The lands, which are in one holding, are located at the end of a cul-de-sac and are currently used for agricultural purposes. Just 1.3km from Barna village, the lands are being offer to the market with the potential for future development, subject to planning. Part of Folio GY42196. A three bedroom semidetached two storey residence located just outside the village of Eyrecourt. The subject property extends to approximately 110sq m of living space and is on a site of c0.6 acre. In need of some upgrading the house is suitable for further development. There are two small block sheds to the rear with a long rear garden and off street parking to the front of the property. A centrally located two bed mid-terrace property situated in the much sought after Palmyra Avenue, just off The Crescent on the edge of Galway city centre. Comprising approximately 55sq m of living space, this property is within walking distance of NUIG, UHG, and all amenities. In a great location, this property will appeal to investors looking for a prime rental location, first time buyers, or those seeking to downsize to a city home in a prime location. A two bedroom end-of-terrace property located on the corner of Palmyra Avenue/Park, just off The Crescent on the edge of Galway city centre. Situated in a highly sought after location, this wonderful property comprises c50sq m of living space with a rear yard and rear access. In need of some modernisation, this property will certainly appeal to investors, first time buyers, or those seeking to downsize to a central location within walking distance of the city centre and a host of local amenities. A superb three bedroom, top floor, duplex apartment in the much sought after Gleann na Ri development on the east side of Galway city. Part of a modern, purpose built, fully managed, complex, this property is currently part of a pooled rental scheme and offers excellent rental yields. Finished to a high standard, this spacious unit of approximately 100sq m is in turnkey condition and is being sold to include all fixtures and fittings. A well appointed three bedroom mid-terrace residence situated in the ever-popular St Mary’s Road. Comprising c90sq m of living space and within a three minute walk of both NUIG and UHG, this property offers potential as a home or a superb investment. With a west facing aspect the property has been lovingly maintained and has a beautiful rear garden and terrace. No 41 St Mary's Road will undoubtedly appeal to the modern trend of city living with a location second to none and is one not to miss. A spacious five bedroom detached property located in the village of Elphin, Co Roscommon. Comprising c180sq m of living space, the property is within walking distance of all village amenities and is a 15 minute drive to the busy beautiful town of Carrick on Shannon with ample amenities and recreational activities. In need of refurbishment, this is an excellent investment opportunity. Stunningly appointed first floor two bedroom apartment comprising approximately 70sq m located in the well-established Cormullen development on the banks of the world renowned River Moy. In pristine condition throughout, this magnificent apartment commands breathtaking views of the majestic river as is flows through the picturesque village of Foxford. Convenient to Ballina, Castlebar, Swinford, and Ireland West Airport Knock. A large two storey residence in the townland of Graveshill, Kiltormer, in Co Galway. In need of modernisation and total refurbishment, the property is being offered to the market with c120sq m of living space. On a site of approximately 0.6 acre, the property is just 12km from Ballinasloe town and just 15 minutes from the M6 Galway-Dublin motorway. A wonderful opportunity to acquire a spacious family home in a scenic location. A delightful three bedroom end terrace home in a most desirable location a short way from Galway city and a host of amenities. Extending to c95sq m of living space to include a fully converted attic, this property also enjoys a large corner site with rear access to a spacious split-level rear garden and deck. Davis Road is ideally located within walking distance of NUIG, UHG, schools, and amenities which has made the area become one of the most sought after city living areas. Alternatively the property has never been let and would provide an excellent investment due to the increasing shortage of quality rental opportunities in the city area. Built in the early 1970s, Dr Mannix Road and the Glenard area has long proved one of the most popular locations in the city and Salthill. The proximity to everything simply provides the best environment for a family home. This home with c150sq m of living space is within easy walking distance of Salthill village, The Prom, and Blackrock, as well as a number of quality local primary and secondary schools, and local amenities and services. This home will benefit from refurbishment and modernisation, offering huge potential with extensive gardens front and rear. Viewing is highly recommended. The auction will take place in the Galmont Hotel, Lough Atalia, Galway, on Thursday October 4 at 3pm. Full particulars on any of the properties are available by contacting the auction team in DNG Maxwell Heaslip & Leonard 091 565261.